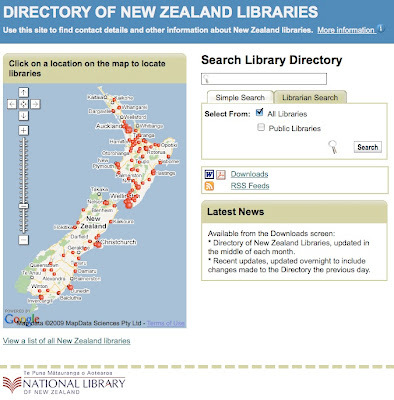 There is an update to the Directory of New Zealand Libraries. Word edition, here. PDF, here. The above screen shot, on click, will take you to the searchable database shown. Note, this is a directory of all NZ libraries, and includes teritiary, special, and insitutional libraries as well as the plain old fashioned but still rocking them in the aisle small miracle, public variety. Christos Tsiolkas - on the small miracle of the public library. <<<< " Christos Tsiolkas, he said that wandering the shelves at libraries saved his life. 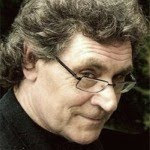 “In my early adolescence I was not a very happy young man, dealing with issues of sexuality, dislocation – I’d gone from a heavily migrant school to a quite Anglo, what we call skip in Australia, school. I felt quite displaced. “I used to escape both to the library at school, but also to the public library near my home and just wander the shelves. I picked up everything. I spent hours in the film section and got introduced to the writings of Pauline Kael, the writings of Jim Agee – and then I would go and discover literature. “That’s one of the things about the space of a library. You can go and do that wandering. There’s something about the solidity of the space and the communality of the space is really important to me. Tsiolkas also sees the value of libraries as a place for community. “I love that you see the young students – a lot of them are Muslims, because it’s a heavily Arab area where I live, but they may be Vietnamese, the may be Anglo, they may be Greek . They’re using the computers and you realise not every home has that access that a lot of us take for granted. Even in the digital age, libraries have an important role, he says.